Two years after the last elections were held, Italians are voting again for a new government. This time, thanks to the Tremaglia Law, Italians living abroad will also have the opportunity to vote. In Italy, opinions regarding the impact of this Law in the last round of voting are mostly negative. One of the country’s most famous columnists, former ambassador Sergio Romano, has always allowed his point of view to be known in his articles, even before the 2006 elections had taken place and long before it had even been possible to gage the effects of such unusual legislation in Italian Parliament. In a column for the Corriere della Sera , written a few days before the past vote (March 31 2006), Romano expressed misgivings on the Tremaglia Law. His title left no room for doubt: “The comedy of the foreign members in Italian Parliament” and the content dealt mainly with the independent candidate from Argentina, Luigi Pallaro, who had made clear “without blushing, that in the Italian Parliament he would vote with the majority”. The reason for his declaration had to be explained by the fact that, coming from Argentina, Pallaro’s central objective was to satisfy the needs of his electors abroad, not to solve the problems of the Italian people. The article ended on a cutting note: “no Italian political party, in the next legislature, should harbour under the illusion that it can count on the representatives of Italians abroad, even when they have been elected in a regular list”. 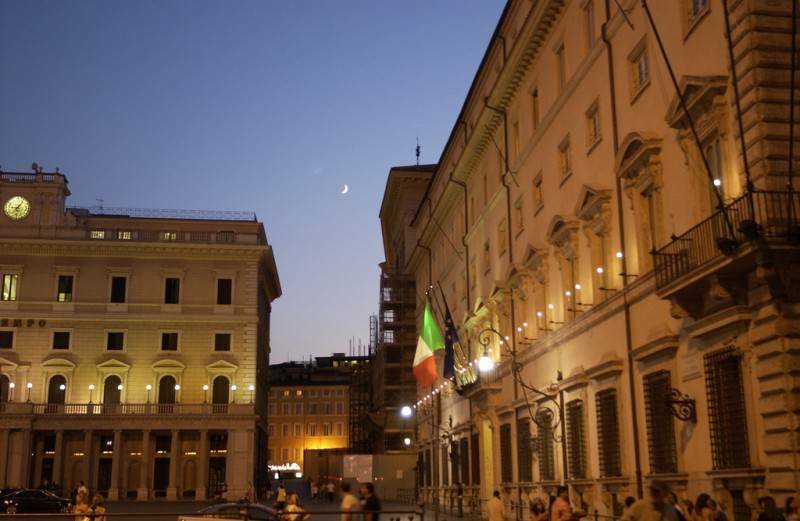 Following the elections Sergio Romano dedicated several other articles to the Tremaglia Law. It is interesting to note his response, published in the Corriere, to a letter sent to him last March by an Italian woman living in Argentina. In her letter the sender maintained it was important to have representatives who are capable of transcending the ideologies and attitudes typical of the parties, and who prioritize preserving a link with Italy. Romano once expressed his stance in unequivocal terms: “The task of the Italian Parliament is, above all else, to pass laws in the service of the national community that has to follow them and suffer their consequences. The goals described by the reader could be accomplished by a Council of Italians Abroad having propositional and advisory functions; that would be enough”. The last intervention by Romano on this subject was in the Corriere on March 20th of last year, where he defined the Law allowing Italians abroad to vote for their own representatives as an “awful law”, for a number of reasons. For example no one was able to understand that “the representatives from abroad in reality represent no one” and that once they have settled in the Montecitorio (the deputies’ headquarters) or in Palazzo Madama (where the senate meets), their only aim would be to get re-elected and to consider only the interests of their electors abroad and not those of the Italian nation. Another columnist who has never masked his disdain for the Tremaglia Law is Christian Rocca, a correspondent for Il Foglio living in the United States. In his blog last February Rocca had made an appeal to Silvio Berlusconi and Walter Veltroni to abolish the Tremaglia Law because he believed it to be falsely premised on the idea of “representation without taxation”. And let’s not speak of the opinions of some colleagues at Parliament. For instance, Massimo Polledri, representative of the Lega, when talking about the financing of 41 millions of euros given to Senator Pallaro & co., created the nickname “Alì Babà and the 5 Italians from abroad” making a joke on the fairy tale of “Alì Babà and the Forty Robbers”. Not exactly high praise for the Italian representatives elected abroad! And…what of the common people? How do they judge the behaviors of the elected senators and deputies abroad? I asked some questions in the neighbourhood in Rome where I live. While drinking an espresso at my usual bar, I asked Piera, 43, the owner, her opinion. She is absolutely against all politicians, and in particular, those from abroad: “Those who live outside Italy should not express opinions; this idea of an electorate abroad is a real blunder! Not to mention the frauds connected with the results of these elections…This law has to be changed soon!”. Giorgia, 24, the worker preparing very delicious cappuccini, who has just become the mother of a baby girl, expresses her opinion: “ I don’t think they had the right to vote, even if they contributed to one positive outcome: getting rid of Silvio Berlusconi “. Andrea, 19, a Forza Italia militant, replies: “Watch out! Who was damaged can take advantage of the situation now! We were damaged before, and now it could happen to the Left too!”. I asked him why in his opinion the voters abroad are not trustworthy and he explained to me: “Haven’t they noticed the actions of senator Pallaro? Haven’t they noticed that he has always sided with those who gave him money…Or rather…OUR MONEY?” Massimo, 18, student, two years ago had been in favour of the vote for the residents abroad, but after these two years has changed his mind: “Seeing their attitude I understood that it was a mistake, that their needs are not ours, and that the better part of their votes in Parliament were meant to protect their interests, not ours”. Cinzia, 62, retiree, agrees: “We saw that it was possible to overthrow a government just with one vote more and it is absurd that disinformed minorities like the Italians living abroad could determine politics in Italy. I hope that this law can be modified”. Alfredo, 47, insurance agent, objects: “Yet, according to the Italian Constitution, being Italian, even if living abroad, they have the right to vote”. “Then--Andrea interrupts-- if they have our same rights, can anyone tell me why the Italians voting in Italy cannot express their preference while they can?” Paolo, 51, owner of the newstand in front of the bar, just arrived to have a cappuccino, gives his perspective on the matter: “It’s not right that there are politicians from abroad, even if they are Italians, because it is absurd that a person paying his taxes in Argentina, just to cite an example, should have the possibility to determine my IRPEF tax rate. It’s not right that the decisions regarding the bridge on the Straits of Messina, the TAV and all internal issues can be decided by an Italian having no appropriate knowledge because he doesn’t live here”. “But above all--Virginia, 33, salesclerk in a nearby supermarket says--Italians living abroad should not elect their own representatives for a very simple reason: it is easy to decide the rules and then not livebythem in person. It is easy to vote for a certain law, and afterward stay in a bar at the Habana, sipping a mojito, while, in the meantime, I am here, fighting for a permanent job!”. The exotic touch given to the conversation by the last customer was not at all good for cheering everyone up...! And Piera, the owner of the bar, gave the inevitable conclusion: “You know what? At this point I am so envious of these Italians abroad, who don’t have to deal with our problems!”.